Careful planning can often be the difference between a successful “Go Live” and a bumpy start. As part of this planning process, organizations may find it helpful to establish clear benchmarks by which a project team can measure progress. These benchmarks make it clear where a project stands and allows adjustments to be made before things go off the rails. Getting your end-users up to speed on new technologies is essential to a successful rollout; training is key component of this. In order to get staff to effectively utilize the new system, training needs to be planned to meet your organization’s unique needs. Start by determining exactly how much training you’ll need: switching to a newer version of an already deployed platform may require less than adopting completely different software. Evaluate the technical skill levels of the clinical, pharmacy, and revenue cycle management (RCM) communities to determine the amount of training needed. Since clinician use can be pivotal to the success of a new platform, it’s important to make training sessions accessible to them; offering a variety of times to accommodate their schedules might be a good approach. It can be helpful to find training leaders with either clinical experience or experience working with clinicians to help those who are having a hard time adjusting to new tools. No matter how well you prepare for your rollout, some challenges are inevitable. Developing a strategy to deal with support issues before the system goes live and they begin to arise can help you solve problems before they grow. It’s helpful to map out in advance who will be responsible for logging and addressing support requests, as well as what the end user support team looks like during the Go-live. Sourcing the right team for “at the elbow” support is critical to the end user adoption experience. Building an effective help desk system is much easier to do before you go live as opposed to playing catch-up. Organizations can stress test their help desk systems to measure how well they’ll hold up after a launch; if it can’t pass these tests, issues may not be addressed as quickly as they should be. A help desk can also be a valuable tool in gathering user feedback that can benefit system optimization; be sure to create a way of capturing and analyzing this information. 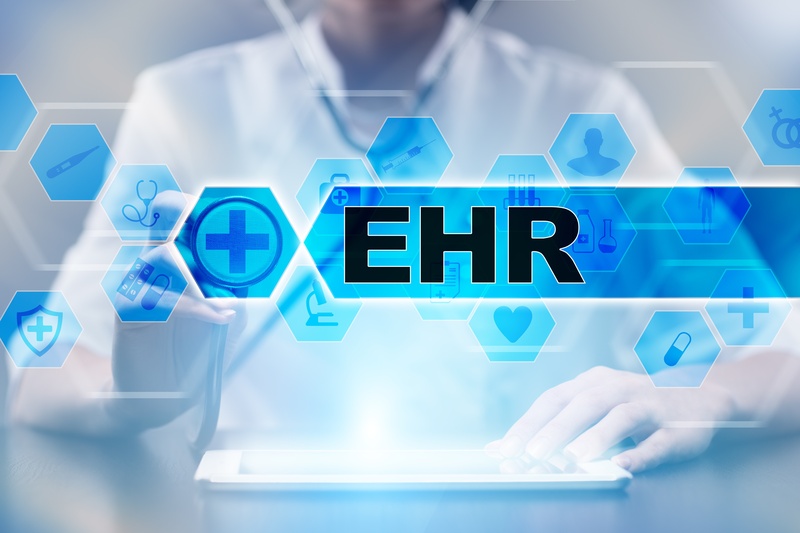 Good communication can keep all parties invested in the EHR implementation process and help to prevent potential problems. Providing a steady stream of information helps end-users and patients feel involved in the implementation process, and gives them an opportunity to think about the new platform and bring up any concerns. Two-way communication is an essential tool in developing buy-in among these key stakeholders and ensuring goodwill toward the rollout of the new systems. When these groups feel heard they may be more likely to cooperate and be understanding, even in the face of unexpected difficulties. Conversely, if they are kept out of the process and not regularly updated frustration may build and patience for any issues may decrease. Effective communication helps to manage expectations and drive overall engagement in the process. As part of this communication plan, organizations can highlight the benefits and features of the new platform while also providing updated timelines. To be most effective, your communication strategy should invite feedback from key stakeholder leaders to help you understand the concerns of different staff groups. Organizations should try to determine what elements of the platform must be in place in order to launch. This may end up being a certain percentage of the platform; many organizations target 80% as a benchmark. Other organizations may focus more on specific functionalities that are essential to have in place before going live. Launching some components without others can lead to unforeseen problems; it’s best to understand the relationships between elements of the platform. If an essential component only works with input from another part of the system, then the latter is also essential. Working with stakeholder groups to determine how certain functions will be used by staff and how a staggered rollout might affect them can be a good place to start. Any rollout of a platform should include strategies for dealing with unexpected outages. Organizations must have an actionable plan for how to proceed if the initial launch is not entirely successful. This is an unlikely situation, but problems related to components that are used daily by staff can cause significant frustrations and difficulty. A clear understanding of how the new systems will affect both patient care and RCM should underpin your planning. Protocols for temporary, emergency workarounds should be developed: possible options include a temporary reversion to the previous platform, stopgap information storage, or manual ordering if CPOE fails. If a major problem occurs, identifying who will take charge of the situation in advance can minimize the impact of any possible outage. By working toward and meeting these key benchmarks, you can help lay the groundwork for a successful rollout of your EHR platform.